Squarespace Web Designs Optimized for any Device (Mobile or fixed). More and more consumers today use the internet to search for products and services they need. If you don't have a website you lose out on all that traffic and potential customers will go to your competitors that do. Your small business will gain credibility by having a website. 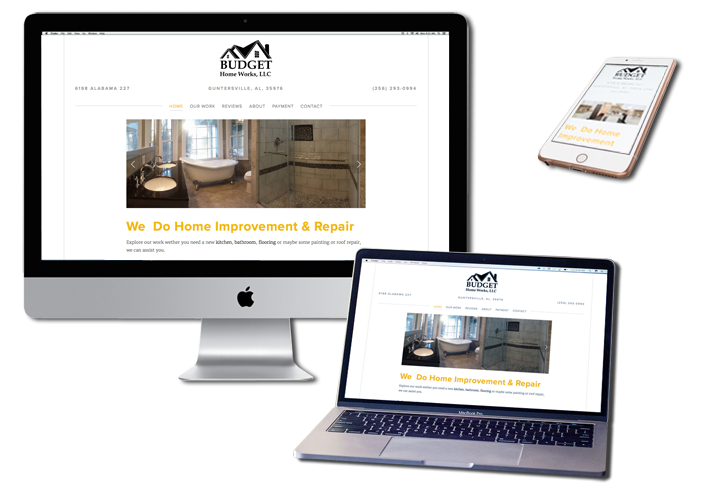 If you already have a website but it is "home-made", having one professionally redesigned will give your business a professional image which will give your customer confidence in your services. For small or home-based businesses, this is particularly beneficial since you may not have a store front to promote your products or services. You may think you can't afford a professional website, but you can't afford not to have one. Although the cost of designing a website varies, once it's up and running, a website for a small business generally costs less than $200 a year and, in some cases, less than that. Compared with the cost of a newspaper ad, flyers, brochures it is a very cost effective way to promote your business especially when you consider the potential market you can reach with a professionally designed website. Optimized for various devices such as smart phones, iPads, laptops and desktops and with Search Engine Optimization (SEO) your website will bring in customers that previuosly were unaware your business even existed. Getting information to your customers takes time, and time is money, whether it’s on the phone, face-to-face, in a brochure, or in emails. With an online presence you can provide lots of information about your products and services. Once your website is up and running, it is available to your customers 24/7, saving you time and money. On your first year of hosting.